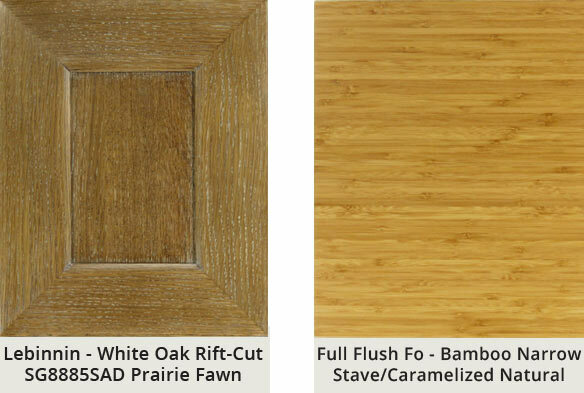 Whether you love a classic kitchen or want go more transitional/modern with your door style, it's good to know what is happening with color trend directions for designer kitchens. White is still hot, and infusions of color can be a kitchen's best friend. Combining cabinet colors is a trendy look that's holding strong, with color blocking cleverly highlighting architectural details such as an island or a hutch. Bright colors are back on the crest of the color trend wave. 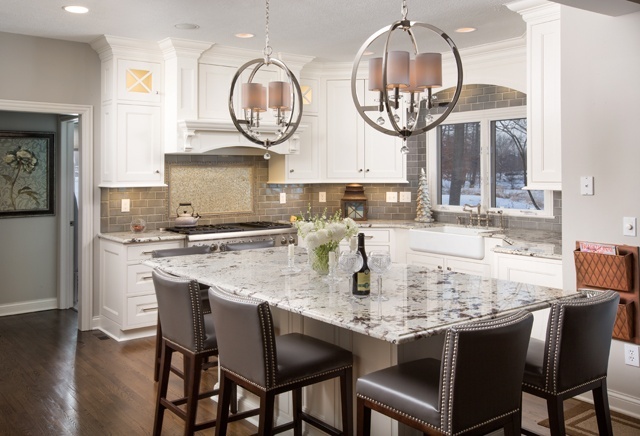 White kitchens are timeless, and endlessly popular in our market area. Ellen O’Neill, Benjamin Moore Creative Director, has said that “White is not just a design trend, it is a design essential." We would agree with that . They reported that of the top ten best-selling Benjamin Moore colors, variants of white occupied five spots and that was why they ultimately recognized "Simply White" as their Color of the Year last year. 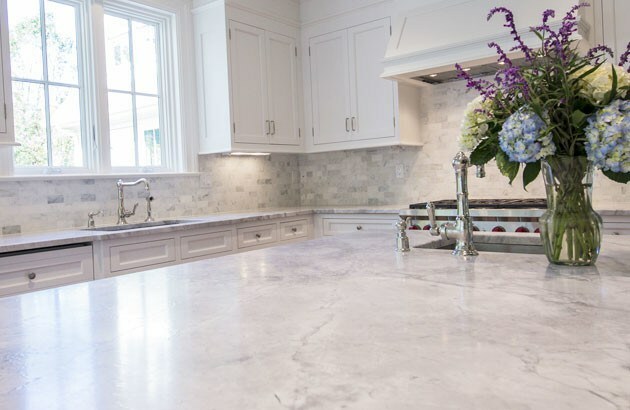 Quartz based counters are very popular with our clients as are their natural stone counterparts, such as Super White granite. 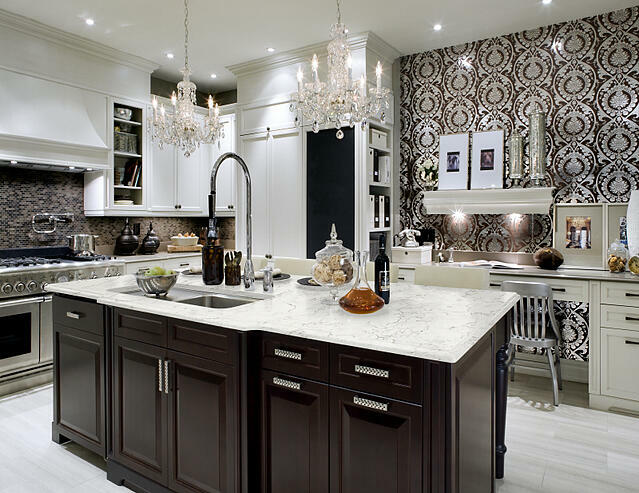 All look stunning with white cabinets of various hues. We often include darker hues on islands and hutches over interesting woods like cherry and walnut, colors that remind you of the depth of a cup of Espresso. Sometimes adding just a few notes of a darker shade helps to ground a kitchen color scheme and add gravitas to the room. 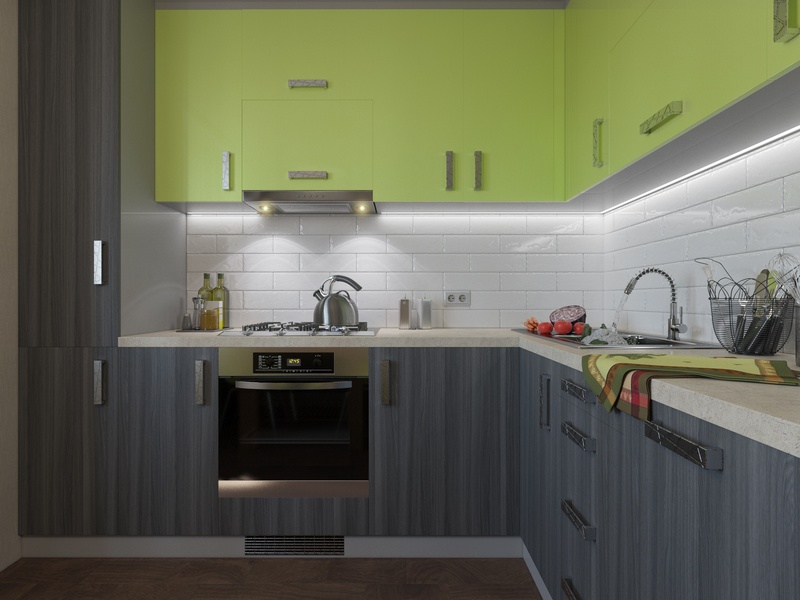 While these are not color/wood combinations that you might opt to use for a whole kitchen, we feel that the kitchen is definately a key place for color. Mixing and matching colors helps create some high energy and complexity to the space. 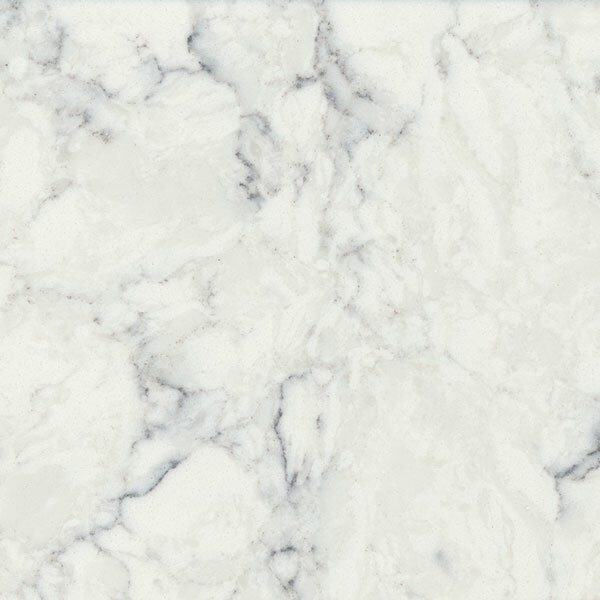 There are many different shades of white to choose from; all of whichwill help your kitchen feel bright and fresh. We have had a run on Divinity, which is a creamy white. It feels a little warmer than a "white white". It pairs well with Giallo Ornamental, and many of the full colored granite classics. 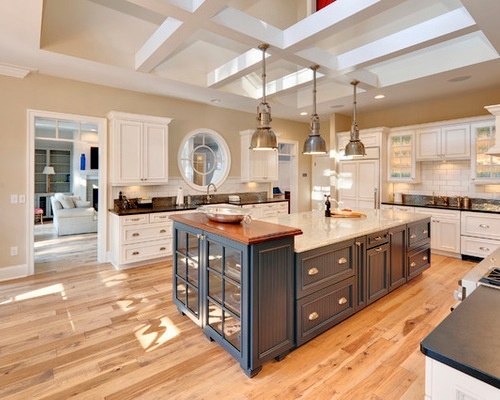 This kitchen has Divnity on the perimeter cabinets, and the bilevel island features beach style blue doors and drawers. Refreshing hues such as this can be a real mood-boosters. This burst of color really works the room. The appeal of a black-and-white kitchen never dies. For a high contrast to the white cabinets, Absolute Black granite honed, leathered or polished and soapstone countertops are classic looks. There are enough interesting shapes and details in this kitchen that keeping the island consistently white was a smart design decision. 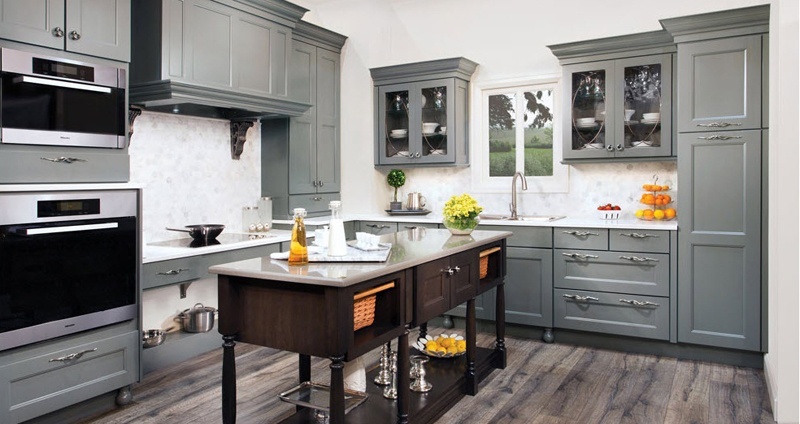 While the kitchen industry's leading manufacturers say that white cabinets continue to be tops, gray is taking on a big part of the market share. Who knows if it will break white's top spot? Many of the lighter greys are used for whole kitchen, and seem delightfully refreshing. We added a Dove island in our showroom, and its getting rave reviews. We tend to see lighter wood floors or darker when working with the lighter grays. 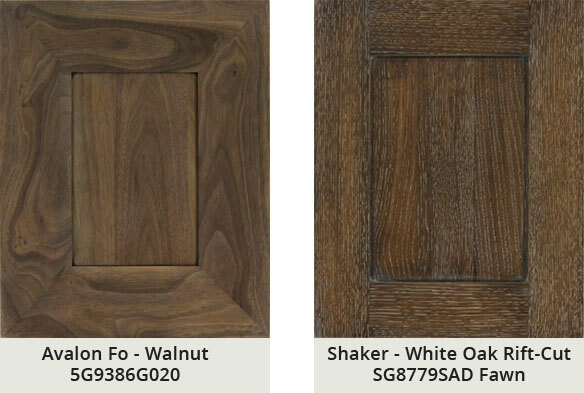 Natural white oak and gray are natural partners. 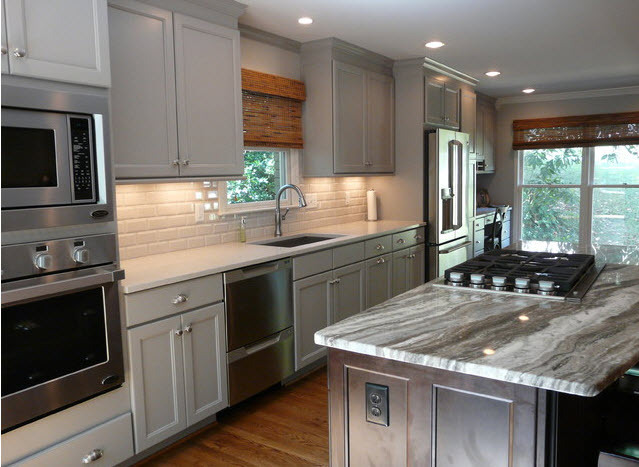 Here's a beautiful kitchen from our fellow Wellborn dealer, Lovette Construction. 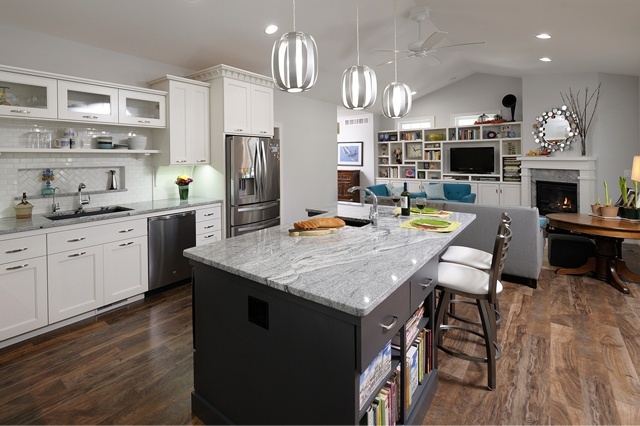 We love how the Dove grey plays off the colors in the island counter. We also like interesting grey stains like Wellborn's silvery greys, such as Tungsten over Oak and Hickory. 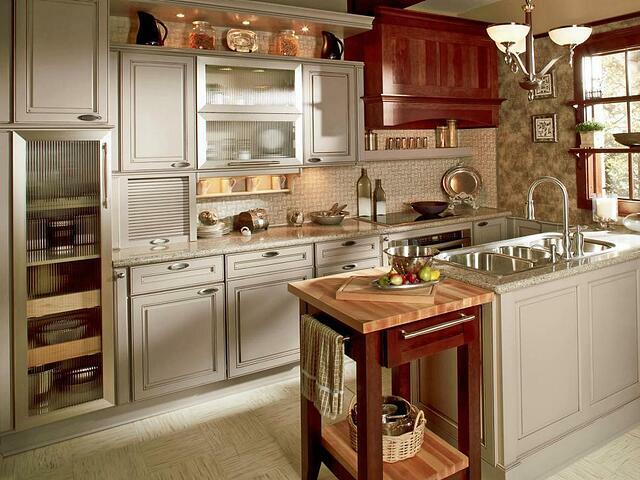 Light silvery gray stains will give your cabinets character. When used on an island,they give it an unexpected pop of color that's not over the top, allowing you to retain a soft, light, neutral look that easily works with many design styles, finishes, materials and colors. 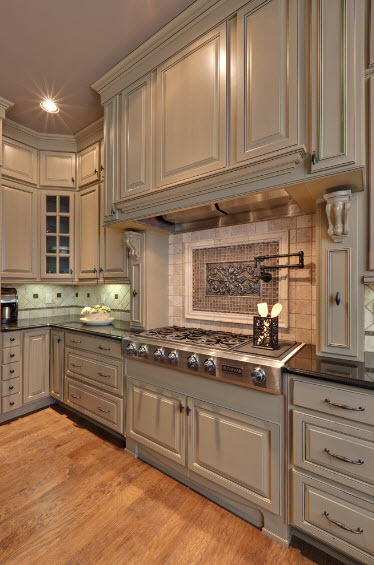 For example, gray and white painted Shaker style just right together. If you've been looking for the perfect neutral and you're torn between gray or beige, you'll get the best of both worlds by choosing greige. It coordinates well with other colors. The origin of the word is actually French, with grege being a noun used in the 1930s that refers to unbleached, un-dyed yarn. Natural stone and undyed yarn are good visuals to keep in mind when contemplating this color direction. 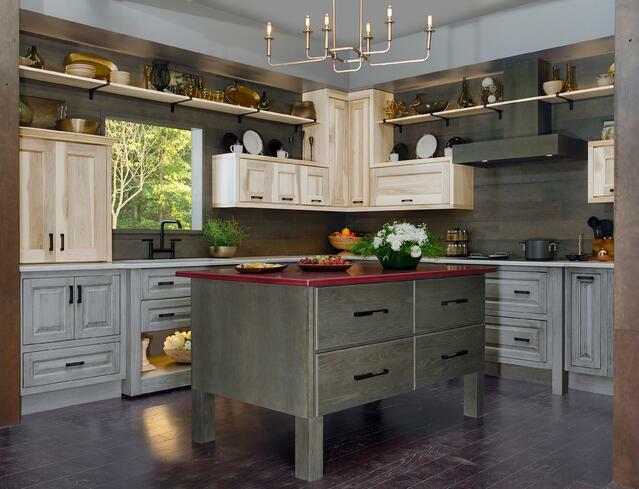 Here's a beautiful greige kitchen from Teri Turan of Turan Designs. Kelly Porter of Houzz says that "When you combine the contemporary sophistication of gray with the earthy qualities of beige, you get greige. Whether you call it a warm gray or a cool beige, you'd be correct in either case. In nature,greigeis the color of stonework." 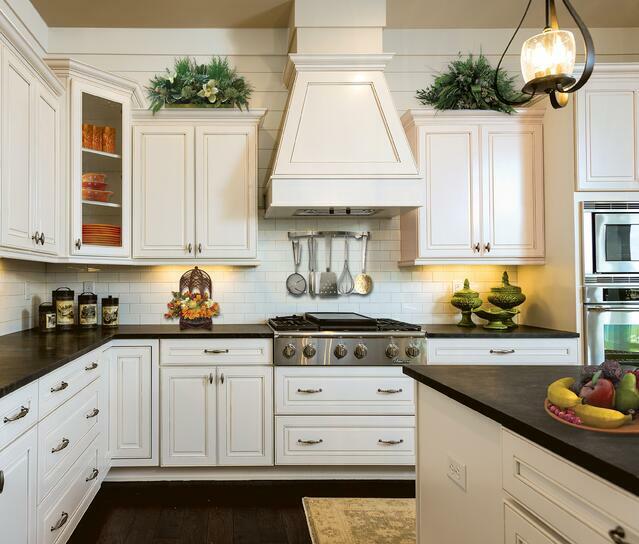 This kitchen by Wellborn pairs soft greige cabinets with richly stained wood. 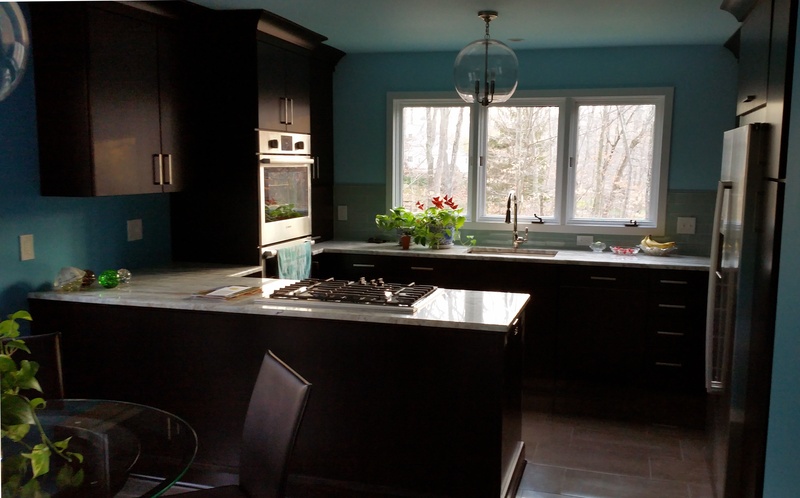 We have done a few very dark kitchens with brightly colored walls. They are striking. Keeping the cabinets such a dark finish in a small space worries most homeowners because they think it will make the kitchen look smaller. But it actually creates drama, when light and dark are balanced in the space. You obviously need to keep the countertops and backsplashes light or white, and/or do something interesting with the walls. You probably remember these brilliant tones from the 1980s. Neon brights are making their way back into home interiors. The key is that you don't want to use too much, but to use enough to make an impact, but not so much that they overwhelm your space. Josef feels that a new generation of buyers with a new philosophy about styles, colors and textures are driving today’s style decisions. He reports that "one reason bamboo is popular, for example, is that it is seen as a renewable resource — a “green” material for a generation concerned about sustainability." In addition, bamboo’s uniquely figured grain and lighter color tones brighten and define open spaces with clean lines, giving a room distinctive character that sparks conversation among friends. 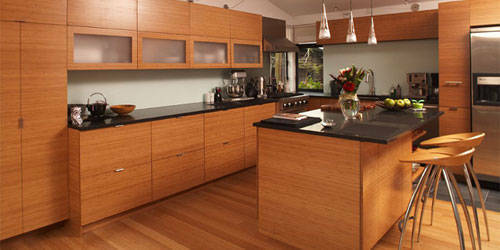 Today’s kitchen designs are all about the intelligent use of color and the welcoming feeling of openness. “It’s the colors and visual textures that really make these styles stand out,” said Josef. Whatever your tastes colorwise, keep these trends in mind as you noodle through the color choices for your kitchen, to help ensure that your kitchen is somewhere that you and your family will love to be, now and for years to come. Want the cream of the crop? Choosing the right remodeler couldn't be eaiser!